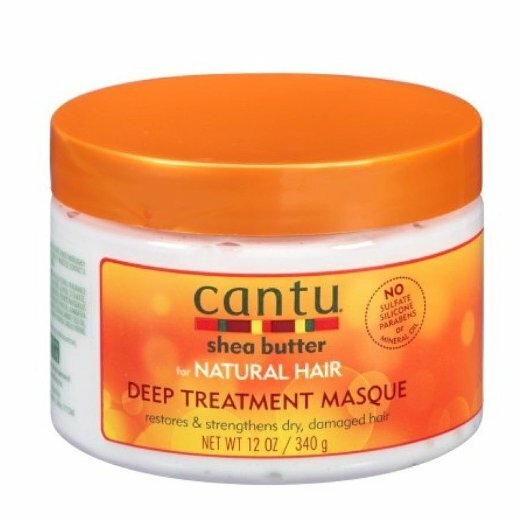 Cantu for natural hair deep treatment masque penetrates deep into the hair shaft to help moisturize and repair damaged, dry and brittle hair. Made with 100% pure shea butter. formulated without chemicals or harsh ingredients.No mineral oil, sulfates, parabens, silicone, phthalates, gluten, paraffin, propylene glycol, PABA or DEA. Apply a generous amount of product to ends of damp hair and work toward roots. Apply more to the ends of longer hair or problem areas. Cover with a plastic cap overnight for maximum absorption and intense conditioning.